Any businessman who wants to either start his business or want to expand his business is always in need of funds or finance. He has 3 options for raising finance namely either through debt or equity or through combination of both debt and equity. Thus debt financing and equity financing are major source of finance for any business. Debt is cheaper source of finance as compared to equity financing. When a company takes debt, it gets tax advantage as interest paid on debt is deductible as business expense whereas dividend paid to shareholder is not business deductible expense. In case of insolvency, debt holders are safer than equity holders because debt holders have priority claim on assets of the company where as equity holder do not have any such priority or protection. Since debt has lesser risk therefore they are cheaper as compare to equity. Equity holders have higher returns as compare to debt. In case of debt financing, borrower has high risk as compared to lender. Even if there is no profit in the company, still interest and principal amount need to be repaid. Debt may be good option initially but as company become overleveraged, cost of raising debt becomes high. In case of more debt in a company, its Credit ratings also decreases. 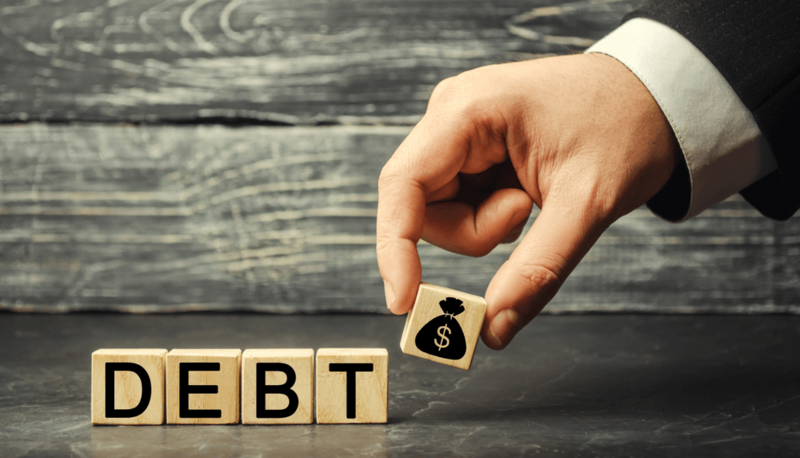 What are various Sources of Debt Financing? Another form of debt finance are trade credits. This is a form of arrangement wherein companies can pay later for goods purchased now. Thus this is short term debt financing. Also, no collateral security is required. Therefore, this is most convenient for small business and startups. This is again a good way of debt financing. Here, buyer mortgage the assets which it wants to purchase and make payments in fixed installments. This is suitable to those companies which has higher credit rating in market. They can easily purchase assets from banks and finance companies without mortgaging any additional assets. These lenders are finance companies and provide money to companies for purchasing the assets on basis of mortgage of assets of company like stock, debtors etc. Accordingly, it is very useful for companies with high inventory, debtors etc. Another source of debt financing are bonds. Companies raise funds by selling bonds to different persons and later on repay by sharing profits. Insurance companies act as a major source of finance for small companies. They provide two types of loans to the businesses namely; mortgage loan and policy loan. A mortgage loan can be availed by mortgaging any asset of the company. On the other hand, policy loan is based on the amount of money that is paid in the form of a premium on the insurance policy. When businessman or firm raises money from outside lenders like bank and financial institutions with the understanding that they will repay the principal amount along with interest, it is called as debt financing. Equity financing on other hand means investing your money in shares of the company or getting funds from outside people in exchange of selling them shares of the company due to which outside lender becomes partial or full owner of the company.